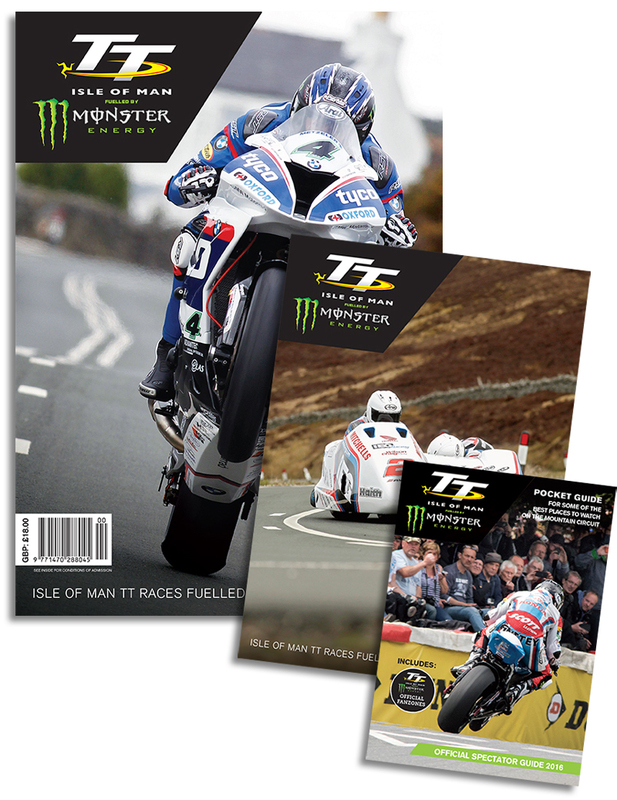 The essential official Isle of Man TT fuelled by Monster Energy 2016 Programme, Race and Spectator Guide - if you buy nothing else for your trip to the TT you should buy a programme. Not only will it help you follow all the action but sales help to support the future of the event. Whether you're sat in a hedge watching or sat in your armchair listening in to Manx Radio TT a copy of this excellent publication will help you stay in the picture as the action heats up. Packed full of interviews with leading riders and promising newcomers, features on teams, managers and organisers, plus a very useful what's on guide. The Race Guide tells you all you need to know about each race including start times, distance and entry list. Your Spectator Guide contains handy information on watching the races including road closure times and how to get around while the racing is on. Publication due early May. If you are travelling to the Isle of Man TT and would prefer to collect your programme please speak to the sales team on 01624 640 011 to arrange. TT 2014 Guy Martin at Union Mills.